Where are the rest of these great podcasts? I've been a J.B. fan for years, and Black Tuesdays is a great show. Why is there only one episode available? Enjoyed the music, good variety, and it's nice to hear the work in depth. Don't be put off by association with Country Music. He's got nothing to do with the corny Nashville sound. Think John Prine, if you go back that far. If you appreciate artistry in music and songwriting, then start listening to Jeff Black! I was introduced by a friend, and I'm hooked. 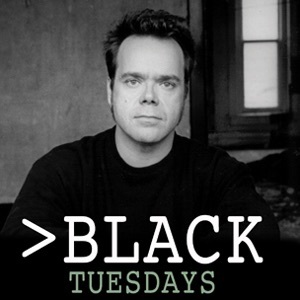 Black Tuesdays is a great way to get a free weekly dose of this truly talented artist. An absolute delight for fans of many genres. Jeff offers a little country, lots of folk and even a healthy dose of rock that will enthrall you with the words and music. Comparisons to other musicians such as Neil Young but frankly I prefer acknowledging that he's his own unique and prolific songwriter. Too many standout songs under his belt and I'm just happy to have discovered this wonderful artist. There will be times that you listen and come away with a yearning for more. Thankfully he comes through with another weekly offering.